YEONGWOL, South Korea, July 21 (Yonhap) -- As residents of the southern town of Seongju stage protests against the planned deployment of the advanced U.S. antimissile system in their area, another county has been taking an opposite approach and going out of its way to attract so-called unwanted facilities to revitalize its weak economy. For policymakers, the prevalent Not in My Back Yard (NIMBY) phenomenon has always been a source of concern when trying to entice necessary yet unwelcome facilities like nuclear reactors, prisons, waste disposal sites and even military bases. But the administrative chief of Yeongwol, located 204 kilometers east of Seoul, says provincial administrations need to "think outside the box" to consider such facilities not as something to be avoided but as golden opportunities that can breathe new life into rural economies. "Are there people that never commit a crime? Can there be a nation and people without the military? All these facilities are needed for everyday life," stressed Park Sun-kyu, the administrative head of Yeongwol. Yeongwol recently hosted a construction project for a military base that can house 250 soldiers, after accepting its first garrison in 2013. The county famous for agricultural goods was like every other town across the country and its people adhered to the NIMBY position. It had residents expressing reservations and some even moving to organize protests when the county first announced its decision to host unpopular facilities. Local sources said people were worried when the government first planned to host an Army artillery battalion in Yeongwol because they thought the potential noise from drills would adversely impact the health of livestock and that the designation of the surrounding area as a restricted military zone would hurt the value of local properties. Park, however, said he was successful in persuading the residents by promising various incentive packages from building agricultural facilities and outlining new tourism-promotion plans. "(Soldiers) are our children and grandchildren. It is wrong to oppose the construction of military bases, when security is the top priority amid the tension with North Korea," Park pointed out to residents. Since the residents accepted the construction plan, the soldiers have been helping residents through various volunteer services from providing labor to offering education-related tutoring to kids, that added vitality to the agricultural community. Such an open-minded approach to accepting unwanted facilities paved the way for the government to build a prison there that can accommodate 500 inmates in 2011. While residents were earlier worried that the construction of a prison would hurt the area's reputation, as well as the education environment, the influx of civil servants working at the prison and the money these people spend on the local economy has since become a new growth engine for the county with a population of around 40,000. "The project led to an increase in the population, revitalization of the regional economy and boom of volunteer activities for agricultural households," Park said. "(The prison) is now one of the key contributors of the development of the region." Military bases and prison are not the only contributors of the regional economy that were once considered undesirable. Yeongwol is also the home for Asia's single largest solar generator system that started operations in 2014. Residents initially protested that the construction would hurt the scenic view of the town. The annual profits made from the power generating system for the county are estimated to be at least 500 million won (US$438,250). "All of the results came from the harmony of residents and public workers," Park said. Policy watchers say residents and leaders of Seongju can also take a cue from the achievements made by Yeongwol. Seongju, located 296 km south of Seoul, has been strongly protesting against the deployment of the Terminal High Altitude Area Defense (THAAD). While the government says it will guarantee that the new missile battery will pose no risks for residents, and that the deployment is vital to better tackle North Korea's provocations, residents continue to remain concerned over the system's impact on their health. "The mayor of Yeongwol was elected three times and held office for 10 years, which goes to show that local politicians and other leaders need not be afraid of accepting projects that can benefit the region in the long run," a political observer said. 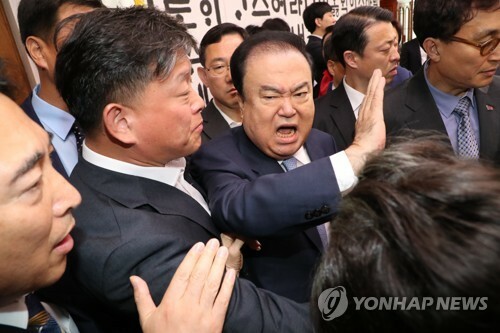 He said with the central government offering incentives to Seongju for hosting THAAD, its people should carefully weigh what is in their best interest going forward.